Once the darling of the automotive world, they've fallen out of favor. Here’s a conundrum – station wagons. Once the darling of the family, they’ve now been shunned globally – first in favor of MPVs, and more recently in favor of crossovers and SUVs for their ‘practicality’ and high riding nature. So here goes a not so secretive secret – nobody buys any station wagons – they’re the black sheep of the automotive world. But, for those that spare them a moment of time, you’ll find that wagons are equally as practical as SUVs, and provide compelling, car-like dynamics for the enthusiast. The Volkswagen Golf is a superbly accomplished hatchback in its own right, arguably deserving of the title of segment leader, combing space, practicality, frugality, and refinement that encroaches on the premium segment. But its lesser known big brother – the Golf SportWagen – takes every single one of those features and amps it up to new heights. 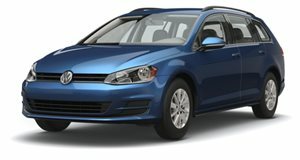 With more space, a plus ride, exciting handling, and refinement to rival the best in the business, the Golf SportWagen turns the Golf from a compact hatchback into a true family car, complete with 66.5 cubic feet worth of cargo space with the 60/40 split rear seats folded. Not only is it practical, but the 1.8-liter turbo engine combines potency and efficiency in a package that can handle all weather scenarios with its available all-wheel drive. With an MSRP starting at a shade over $21 000, it’s also the cheapest station wagon on this list, making it the perfect entrant to kick things off. They may have added in an extra pair of doors for the current generation – robbing the Mini Clubman of some of its original awkward charm – but in doing so they’ve only made it more practical and more appropriate as a family vehicle. True to form though, it still retains the double rear swing doors, adding a level of extra practicality in tighter parking areas where roof height and giving easy access to the 17.5 cu ft. trunk – which will swell to 47.9 cubes with the rear bench folded. 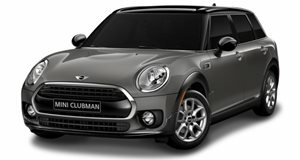 The Mini Clubman offers a range of versatile engine and drivetrain options to cater to a wide range of buyers – everything from the 134hp Cooper Clubman to a 228hp John Cooper Works performance derivative, with the choice between front and all-wheel drive, and manual and automatic gearboxes to choose from. The Clubman’s greatest trait is perhaps that it appears so unassuming – seemingly more hatch than wagon which may be its only reprieve in a world that, as we’ve seen, no longer values the wagon. Diesel might have a bad rap after the whole VW debacle, but it seems not every manufacturer has given up on it in the US. 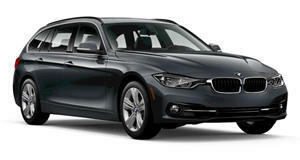 The BMW 3 Series Sports Wagon is the only vehicle on this list to make use of diesel as its means of propulsion, though a gasoline derivative is also available. Regardless of which engine you choose, you get BMW’s xDrive all-wheel drive system and a 27.5 cubic foot trunk capacity that’ll swell to a cavernous 61.5 cubes. BMW’s penchant for pleasing driving dynamics is standard, and, if you opt for the 180hp 328d xDrive, you’ll get 43 miles to the gallon on the freeway. 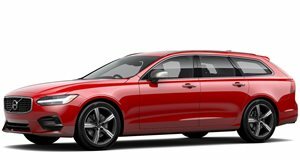 Volvo has a lengthy history with the station wagon body style, so it should come as no surprise that the Volvo V90 is one of the best looking wagons, arguably ever made. It’s one of two wagons still on sale by the Swedish brand, and it’s one of the few in the market that actually still has several direct rivals – coming in the form of the Mercedes-Benz E Class and Jaguar XF. Based on the same platform that underpins the XC90 SUV and S90 Sedan, the V90 is quite the accomplished vehicle, with optional rear air suspension lending levels of comfort few premium cars can match. Unlike many a rival brand, the V90 focuses outright on comfort and practicality, though the R-Design gives buyers not only a sportier looking V90, but one with a fairly adept sports chassis that can run with the best. While many may lust after the Mercedes-Benz E-Class All Terrain 4x42, that’s just a concept. However, the regular E Class wagon is a worthy substitute that combines practicality with styling that gets rid of the rather questionable Mercedes-Benz back ends present on their sedan models. A 40/20/40 rear seat split enables a versatile cargo capacity ranging from 35 cubes all the way to 64 cubes with the rear bench stowed away. But it’s the available performance on offer that endears us to the E-Class Wagon even more. 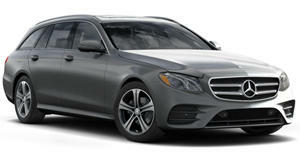 Just two variants are available, with the base model being an E400 with a twin-turbo V6 good for 329hp. But the Mercedes-AMG E63 S Wagon is the one that earns the Mercedes a spot on this list – who doesn’t love a 603hp wagon with all-wheel drive and a drift mode? The kids will never be late for school again! The third wagon in its category, after the Volvo V90 and Mercedes E-Class, the Jaguar XF is the most driver orientated of the lot. But with the exception of the AMG E63 S, it’s also the most expensive of the lost with a starting price of $70 450 – though at $30 000 cheaper than the E63, it’s a huge bargain. It’s available in just a single derivative, ‘S AWD’ it packs the supercharged 3.0-liter V6 from the F-Type under the hood, developing 380 hp. A rear biased all-wheel drive system and 8-speed ZF automatic gearbox ensure power meets tarmac effectively. 0-60 mph is dealt with in 5.3 seconds, but it’s the way the XF Sportbrake talks to you as a driver that makes it so enjoyable; whilst cargo volume of up to 69.7 cubic feet places it ahead of its two rivals. 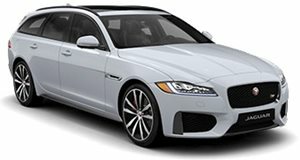 Performance, noise, practicality, and of course good looks are all par for the course here, making the XF Sportbrake a compelling, albeit expensive station wagon for those in the market.